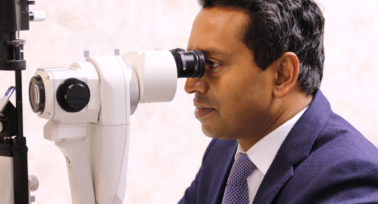 For over 200 years, Moorfields Eye Hospital has been a centre of excellence for the specialist treatment of diseases of the eye and one of the leading eye hospitals in the world. Our clinic held in this prestigious institution offers a range of eye care services ranging from consultations to surgical procedures. Other times and days by arrangement. On street parking is available throughout the area, as are off-street secure car parks. 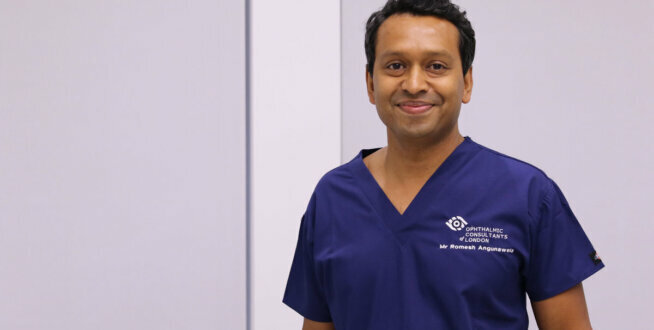 Described as kind, person-centred and exceptionally skilled, Romesh Angunawela is an OCL co-founder and leading eye surgeon. 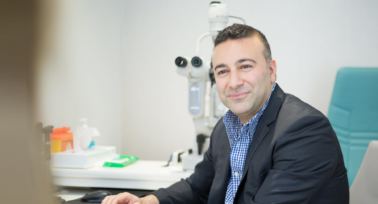 Romesh is available throughout the week at Moorfields Eye Hospital. 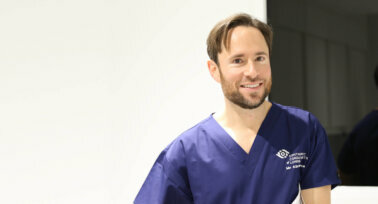 We provide a full range of specialist services from our satellite clinic in Moorfields hospital. Find out more about life without glasses by speaking with us today. Our concierge team can help with a range of different services for before, during and after your treatment to make sure your visit runs as smoothly and a stress-free as possible. For anyone looking to stay close to the hospital, Old Street and the surrounding areas provide plenty of selection. Excellent transport links to areas to the west also mean that hotels around Mayfair and Hyde Park are also easily accessible. Founded in 1805, it is the largest eye hospital in the world, treating over 260,000 patients annually across the full spectrum of eye disease. Together with the Institute of Ophthalmology, Moorfields is also the largest ophthalmic research centre in the world and has pioneered many treatments to prevent blindness, including being the first centre in the world to perform gene therapy for retinal blindness. Overall I experienced an outstanding level of customer service and standard of care.